Want to quickly see how the open-source software Geeklog works? You'll find a free and updated demo installation of Geeklog here. 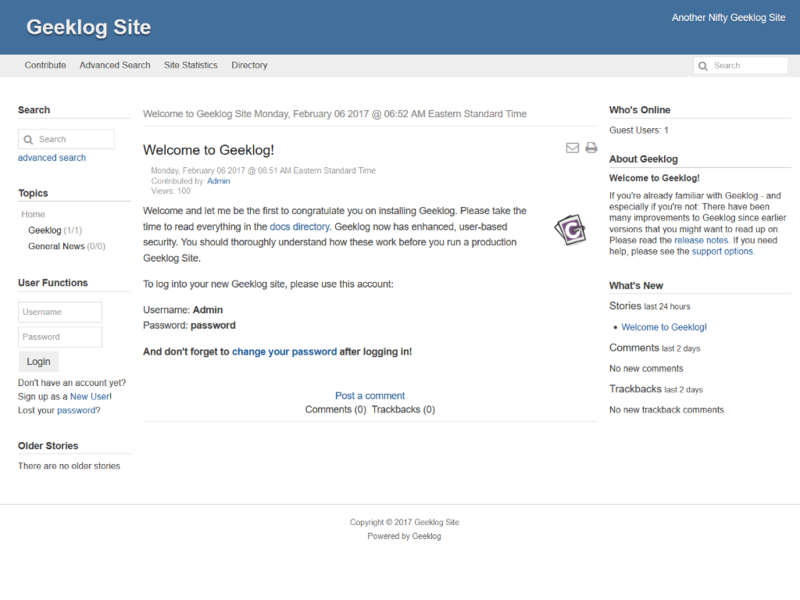 Geeklog is a free open source content management system for managing dynamic content that uses PHP as a programming language and supports a MySQL or PostgreSQL database backend. Some examples of features include support for comments, RSS feeds, trackback URLs, spam protection and others similar to any other content management system. If you want to get a review of this software you can click on the links above and see how our Geeklog demo works. The screenshots below will give you a preview of how the admin demo looks like and how you can change the appearance of your online demo using themes. While this is an option with Geeklog, changing themes can be rather difficult for non-technical users, as it requires editing the config files directly. 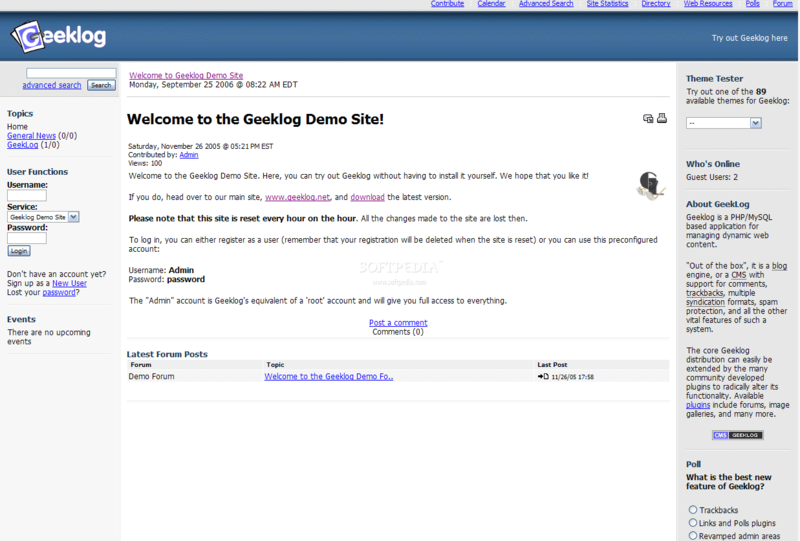 You can also set up your own Geeklog demo by downloading the software using the link below. The latest version available for download is 2.1.3 and was released on June 22, 2017 under the GNU General Public License version 2. In order for your demo site installation to be successful you will need a server running Apache or Microsoft IIS with PHP 5.3.3 or higher installed (PHP 7.X is supported). 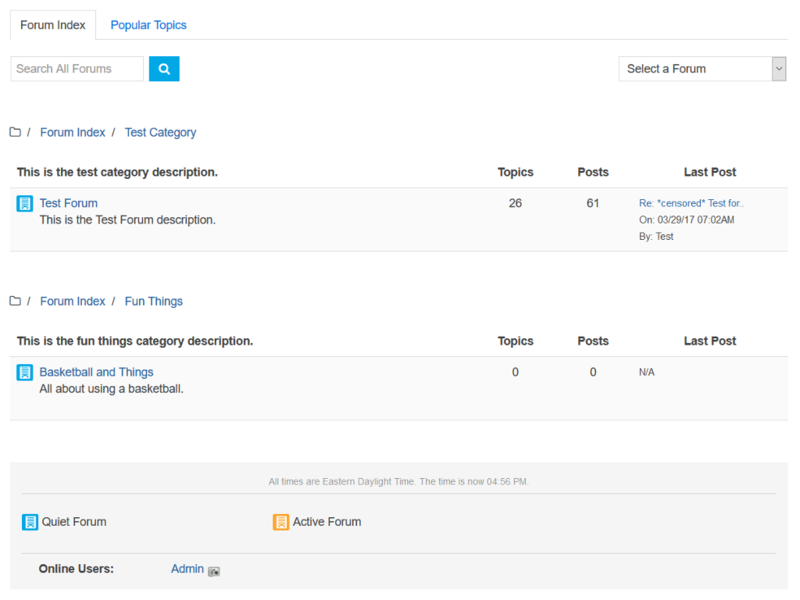 Once your Geeklog demo is up and running you’ll see that you can create, schedule and post articles in multiple topics, embed images or other content within your pages and get submissions from users. It offers a fully functional file manager and security features like encrypted user passwords and access control levels.